Season’s Greetings! December is upon us and we have some beer releases and events planned to help you celebrate the holiday of your choice with merriment and cheer. Hanukkah? Christmas? 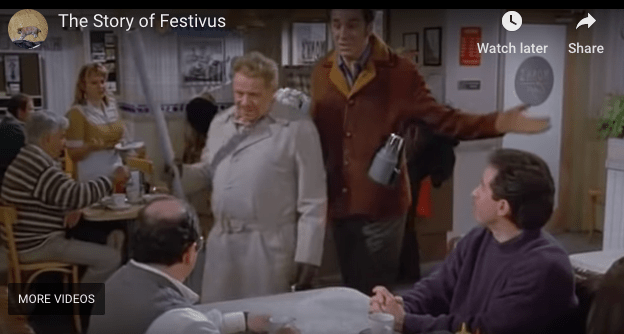 Festivus? We’ve got you covered! A reminder that our English Bitter releases on Thursday and that we have our Holiday Alumni Art Show on Friday from 5-8pm. Hanukkah falls early this year, so get in to pick up your post-menorah lighting gifts. Gift certificates in any denomination are available, plus glasses, growler fills, shirts, and hats. There is also a Meet & Greet with The Local Beet on Saturday December 1 from 4-6pm. Rebecca does an excellent job sourcing local produce and food products and putting them together into a convenient weekly package for you to pick up on Thursdays at the taproom. And all for a reasonable price. What a cool gift to give this season! We brewed this beer at the request of a couple of our Mug Club members, Dawn and Libby. They actually wanted a Baltic Porter, but I did not have the time to use the lager yeast on a high gravity beer. So they got it’s cousin the Imperial Porter using the house ale yeast. It is rich, strong, and dark with hints of chocolate and smoke. Nestled nicely within the week of Hanukkah, Rob from Empanada Dada arrives with his delicious empanadas of many flavors. And if you are not keeping kosher, you can also have the mouthwateringly fabulous Cuban sandwich. This is a busy night. We release our first ever beer in a bottle, just in time for the holidays. A traditional English Christmas ale brewed with orange peel, cinnamon, and clove. There are very limited quantities of the bottles and they will only be available for sale in the taproom. It’s a great stocking stuffer for the hard to please person. Also on Thursday, Alice’s Table will be here helping you create the perfect wreath centerpiece for your Christmas table from 6:30-8:30pm. Make sure you purchase a ticket if you want to make a wreath so that there is enough material at the taproom for anyone interested. The ABV 3.1 Run Club is also still going strong with many runners and walkers earning a free beer, growler fill or swag for their weekly effort. Back-to-back busy nights. Make sure to thank your bartenders for their hard work! Jaju returns to serve up their traditional Christmas fare. 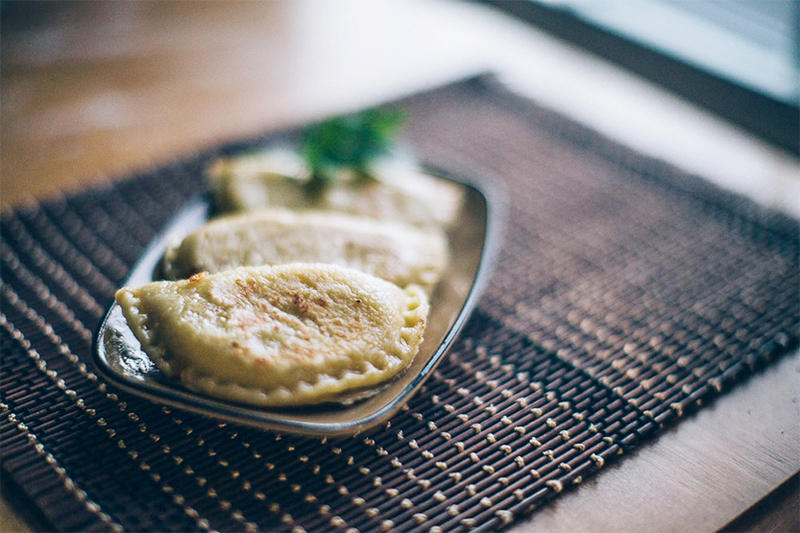 If you have not had their pierogi yet, you must be living under a rock. Since it is also our annual Ugly Sweater Party, put on your ugliest holiday themed attire, bring some non-perishable items to donate to Beverly Bootstraps and be entered to win a Gentile Brewing gift certificate. Come down to the taproom for some holiday merriment, Polish dumplings and fresh beer! We are so excited to host T’ahpas 529 for the first time at the taproom! They have a fabulous Spanish/Mediterranean restaurant in Melrose where they serve up some delicious small plates of food. 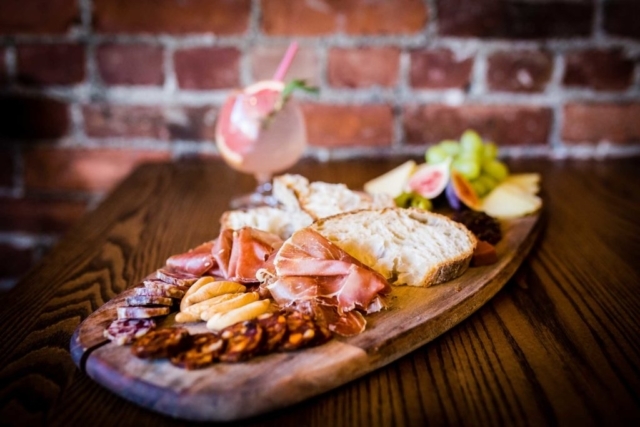 Their menu is fairly extensive and you are not going to want to miss this one! It will be a perfect way to kick off your Christmas weekend. Our taproom manager, Emily, had a great idea to have a wrap party at the taproom. Our tables are the perfect size for wrapping presents and she knew you all would put off that particular chore until the last minute. We will have some supplies for you to use but feel free to bring your own. Mariah Carey’s Christmas song will be on repeat if you haven’t had enough of it yet. And we have it on good authority that Emily does enjoy herself some Tupac and Biggie, so perhaps only those with adult-themed-content ears should be in attendance once the sun goes down…? So, we made a Belgian Tripel a while back. It was taking forever to finish fermenting, so we decided to move it to a wine barrel. It has picked up a really cool flavor from the wood and is currently hovering around 9% ABV. It’ll be great to have in your glass to welcome in 2019! Our friends from 3 Kitchens Catering are returning to provide a Festivus feast for the the rest-of-us! Traditionally, Festivus is celebrated on December 23, but we are not open that Sunday so Saturday the 29th was the next best option. Prepare for an Airing of Grievances (must begin with “I got a lotta problems with you people, and now you’re going to hear about it!”) and a Feats of Strength (no wrestling). Watch a clip from the Seinfeld episode “The Strike” here. From the entire Gentile team we wish you a happy and healthy 2019!! !